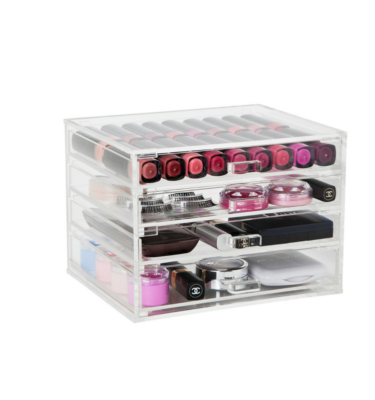 Modelled from our Original Flip Top Makeup Box, the Original Makeup Organizer has all the same features such as the handy Flip Top lid and sleek original handle. 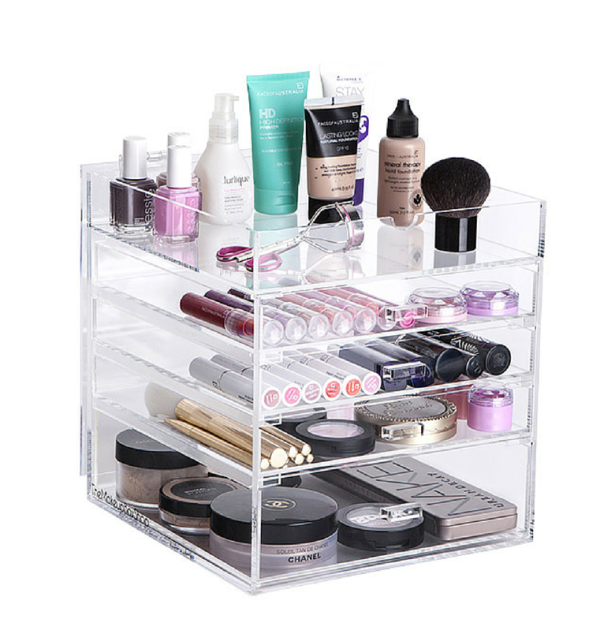 This Makeup Organizer is made up of four drawers and a flip top section where you can choose to store tall items by flipping the lid back or keep the lid closed. 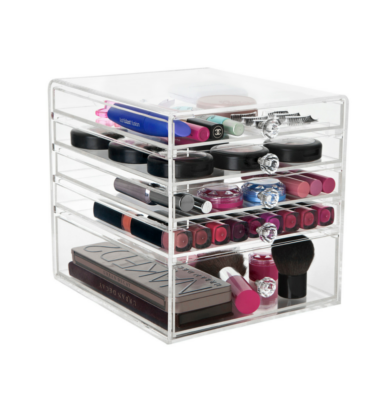 Additional storage pieces such as drawer dividers, blush divider, or jewellery tray can be added to this unit. 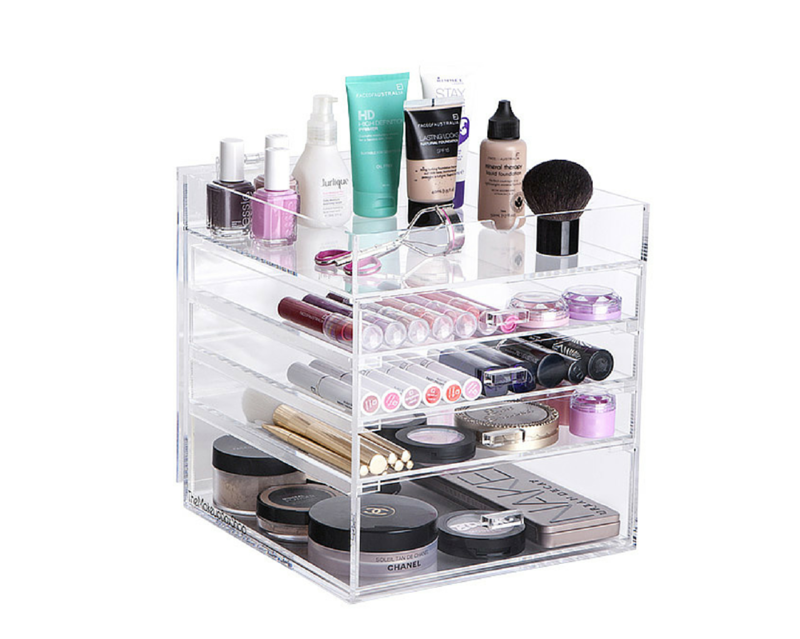 This Makeup Organizer is delivered free within Australia and includes tracking. This is excatly what I needed! Awesome, gorgeous and everything I wanted! 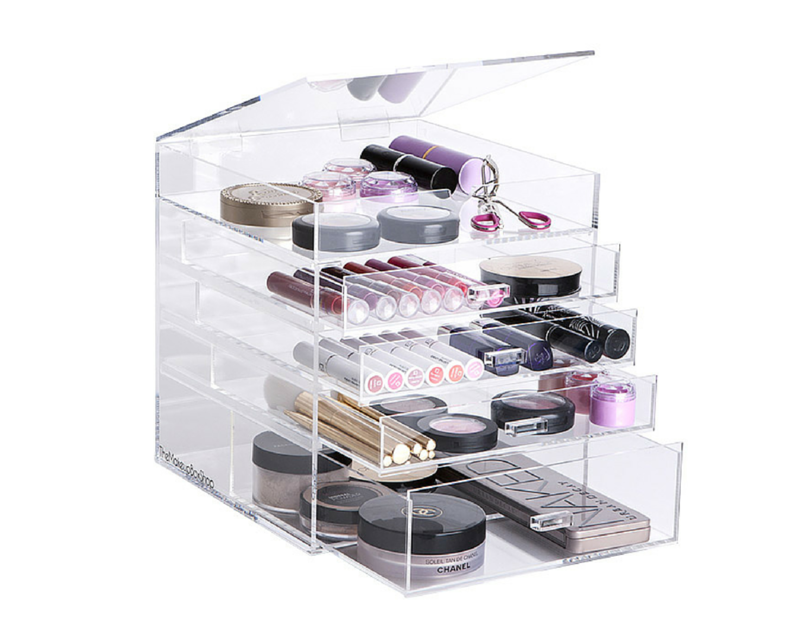 The structure of this organiser is on point. 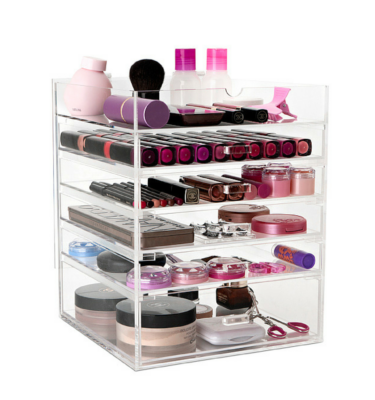 Strong and sturdy with beautiful thick acrylic panels. Everything works perfectly and I could not be happier – well I guess having another one to fill would make me happier, lol, but apart from that…. You will not regret this purchase. High quality – super fast delivery (got mine in 2 days!) – Arrived in perfect condition due to it being packed up securely with bubble wrap and styrofoam panels. 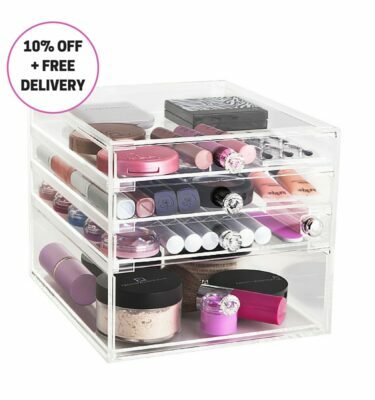 I received my makeup box . It is huge and placing it in my bathroom. It’s bigger than I realized . It beautiful!